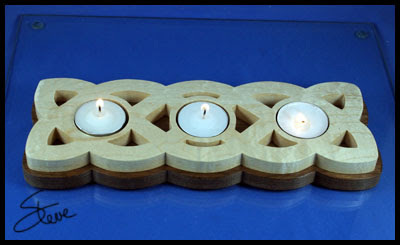 Tea Light Candle Tray Scroll Saw Pattern. This tea light tray is ~10.5 inches long. I think it will make a nice table centerpiece. The question always comes up about the safety of real candles in craft projects. My opinion is that they are as safe as you make them. Always keep the tea light candles in their metal container. Don't leave them unattended and keep them away from children and pets. If you have any misgivings about their safety then by all means use the battery powered tea lights. 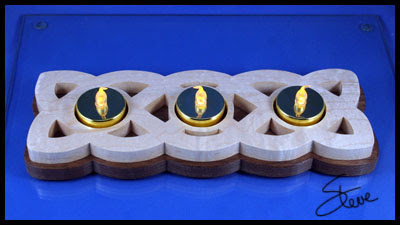 Here is a link to a 24 pack of the battery powered tea lights. Korea The Forgotten War Set! Korea - The Forgotten War 1950-1953! 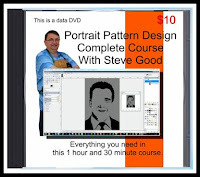 4 DVD Set! The complete story of the Cold War's first bloody and brutal conflict pitting East against West! Be a part of history as North Korea invades South Korea, inside General Douglas McArthur's Plan for the West, examine the brilliant strategy of the Inchon Invasion, witness the fierce Red Chinese Army crossing the Yalu River, experience the bloody fight for Pork Chop Hill! Learn how American GIs and Marines survived the frigid Korean winter, meet Korean War Vets as they recount their personal struggles and triumphs, be there for the final battles and the signing of the cease fire. Watch exclusive interviews with American Medal of Honor recipients!